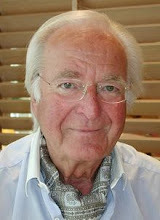 Legendary Spanish voice actor Rogelio Hernández died today in Spain, December 31, 2011 of cancer. Born in Barcelona on December 25, 1930, he started out as a stage actor in Madrid, before resettling in Barcelona, where he became a much-employed baritone dubbing actor, the regular voice of Marlon Brando, Michael Caine and, subsequently, Jack Nicholson, he excelled in anti-heroic voices. His other work included Tony Curtis in “Some Like it Hot”, Dirk Bogarde in “The Night Porter” and Joe Spinell in “Maniac”. In 2008, he retired due to eyesight problems. He is survived by his wife, Rosa Guiñón and his daughter, Rosa María Hernández, both likewise voice actors. 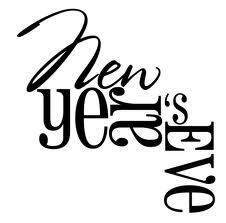 The end of 2011. Stay safe. The story takes place in the Old West and the Far East. After a Kung-Fu fighter runs away from a fight, his opponent goes in search of the man. This leads the Chinese man to the Old West, where the two team-up against a gang of cowboy thugs. The two Kung-Fu fighters turn out to be brothers. They both become involved in other unpleasant situations and meet new friends, and the love of a woman. When their teacher arrives from China the two must either fight each other or go against the Samurai. Giorgio Ardisson was born on December 31, 1931 in Rocca, Canavese, Turin, Italy. Giorgio was a boxer before being given his film break thanks to Mauro Bolognini. The blond, athletic and good looking actor, appeared in a secondary but important role in “Arrangiatevi!” (1959). 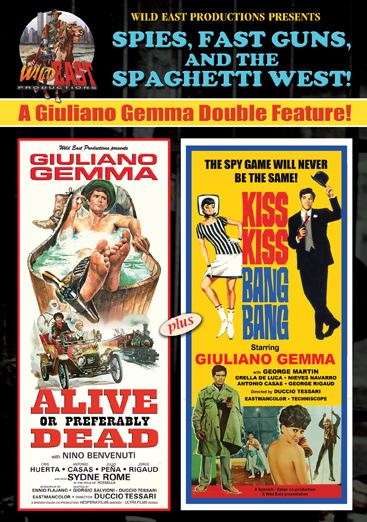 With his athletic prowess and his boldness to make roles his own he starred in 1950-1970 adventure, peplum movies and Spaghetti westerns but was best known especially for his reckless adventures as secret agents similar to James Bond’s 007, which were much in vogue in the 1960s. Giorgio Ardisson was then catapulted from one film to another in character roles in B movies that left him almost in the background, without any opportunity to be offered leading roles. Federico Fellini chose him for a secondary supporting role, as the nice guy, lover of a nymphomaniac, in “Juliet of the Spirits” (1965), but the role failed to make him a leading man. 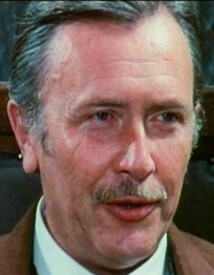 Billed as George Ardisson in his seven Euro-westerns he did find success as a leading man and supporting actor. George appeared in such westerns as “Massacre at the Grand Canyon” (1963), “A Man Called Amen”, “Zorro the Fox” (both 1968) and as Sartana in “Django Defies Sartana” in 1970. Giorgio continued to appear on screen into the early 1990s with his last appearance in “Shadow Warriors” (1992). Today we celebrate George Ardisson’s 80th birthday. I appeared in 32 Euro-westerns. My best friend was John Bartha. Breccio correctly named this week's photo as that of Tom Felleghy. 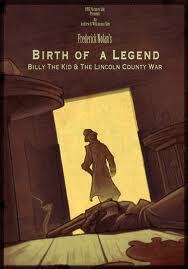 Story: Billy the Kid and his participation in the Lincoln County War. Based on a story by historian Frederick Nolan the world renowned expert on Billy the Kid the true story of Billy the Kid and his participation in the Lincoln County War was filmed in Sweden. 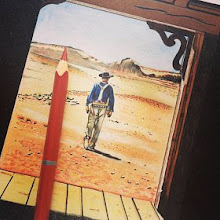 Part Two which will cover Billy after the war was over and his death at the hands of Sheriff Pat Garrett is waiting for financial backing before production can begin. Forget Bogart and Bacall, Astaire and Rogers, Burton and Taylor: cinema's most enduring relationship is with music. To celebrate this partnership Watershed and St George's Bristol have collaborated to produce Filmic, a brand new festival of film and music. Running throughout February and March, Filmic's talks, concerts and films focus on two of the world's best loved film composers: Ennio Morricone and Michel Legrand. 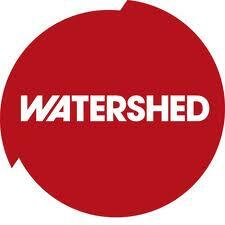 The inaugural 2012 festival features four concerts at St George's Bristol and a programme of screenings and talks here at Watershed. 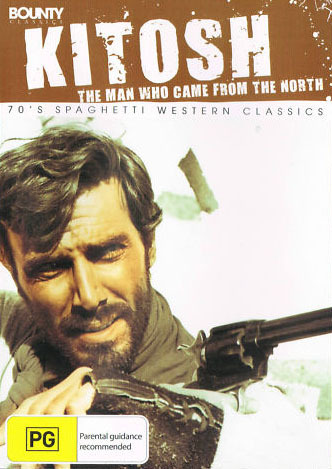 Shooting from the hip, we've invited Sir Christopher Frayling to select the best Spaghetti Westerns for your viewing pleasure throughout February. He's selected The Good The Bad and The Ugly, Big Gundown, Death Rides a Horse and Once Upon A Time In the West and he'll be joining us for a special illustrated talk, For A Few Guitars More on Sun 5 Feb, which looks at the genre's revolutionary use of music. In March, shortly after his 80th birthday, the legendary composer Michel Legrand, triple Oscar® winner and composer of over two hundred film soundtracks, will be making a special visit to Bristol, appearing at both Watershed and St George's to give a fascinating insight to his musical career in an intimate talk and perform at a concert that will draw from the whole of his illustrious film works. 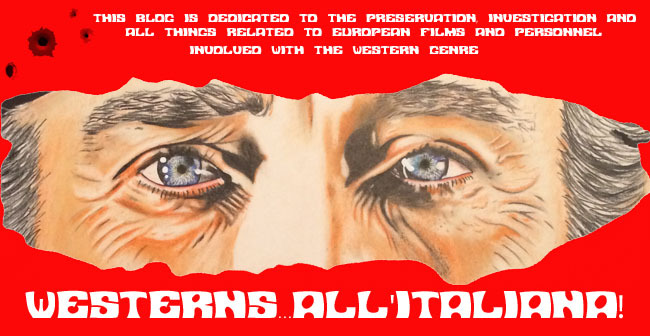 The launch of Filmic takes place on Thu 9 Feb with a performance by the sensational Spaghetti Western Orchestra at St George's Bristol. Read more about the ideas behind Filmic. Below are details of the events and screenings that are already confirmed - please keep checking back as more details will be published as soon as they are finalised. The Canadian military authorities must transfer a load of gold through an area infested with four bands of marauders and Indians all lead by the mysterious McCoy aka "Renegade". To make it safely, the transport is assigned to Major Zachary Becker who, during an ambush, is helped by Kitosch, a brave former Mountie, a rather undisciplined but knowledgeable frontiersman. Kitosch is, sought after by an Indian tribe because of his offensive actions toward them, when Major Becker disappears into the waters of a river, Kitosch takes on his identity and joins a caravan of five coffins, five women dressed in mourning and a company of redcoats. Upon reaching Fort Eagle they find it destroyed but, Kitosch and his fellow travelers camp out there. They learn the load of gold has been hidden in the coffins, soon what’s left of the fort is attacked by all the bands of "Renegade". But Kitosch valiantly defends the gold against the Indian and bandit attacks, and when everything is settled, he is able to identify the strange figure of the Indian missionary as the true "Renegade" and kills him. The work of Jose Enrique Martinez Moya, CABALGANDO HACI THE AVENTURA, Circulo Rojo, 2011, is well worth a topic on its own. Images (black and white) of unpublished archives, such as preparing the filming of “A Fistful of Dollars” at the Cortijo El Sotillo (San Jose) and beautiful views of Poblado Leone, Estacion La Calahorra (Granada) (photos by Michel Commes ) and others. 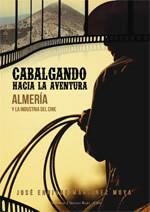 Moya has revised his first book on Almeria called Pelicula mundo, (1999), ranking the movies by genre, always with accurate information on local figures, including the existence of a corporate official. He explains the probably of a total absence of names and terms of our retired English, employees may have been working against the interests of their corporations, Moya also publishes a membership card of the Union of Provincial Show, 1965 and provides specific daily wages. The book shows how a poor province in southern Spain, grew into a branch of Hollywood. Its landscape features, with a range that goes from the desert sand, dry gullies, wide boulevards, plains and mountains to the coast ... in no more than 100 km, made it a haven for cinematography. Moya’s book is a tribute to Hollywood and European filmmakers and complements his other previous work, Almería, a World of Film, which shows that this land could be more than a passing rail stop in the uncertain fate of life, the fact remains it is Earth Cinema. Moya also publishes photographs of scenes taken in the late 1970s, a lot of drawings (by the author) and provides new information on some sets, like the ghost town that is the entrance to “The Good the Bad and the Ugly”, which was destroyed after filming in order to use the building materials on other sets. We also learn of the existence of certain projects of reconstructed and destroyed sets, such as La Calahorra .... (Nuevo Tucumcari project, failed). 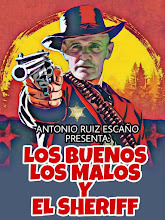 A comprehensive review of films, places, man-made and natural scenery, plus a valuable study of the film industry in Almeria (professional associations, film studios etc ...) and a small mention of the western film locations in Italy. Perfectly secure online purchase and transport TNT in France. Excellent after sales service. 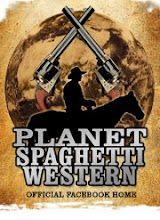 Those who love the spaghetti western should not miss picking up a copy. Wild East, USA. Format: NTSC Region 0. A Placed Called Glory Directed by Sheldon Reynolds. 1965. 93 min. Widescreen (2.35:1 anamorphic). Two professional gunfighters, Clint Brenner (Lex Barker) and a mysterious Frenchman (Pierre Brice), become friends following a chance meeting on the open trail. The pair is oblivious to the fact that they are scheduled to go head to head in a "gunfight to the death" competition that is the highlight of Glory City's Founder's Day celebrations. As it is, the duo has more pressing problems: when they stop off at Powder City they become embroiled in a range war that is threatening to erupt between Seth Grande (Jorge Rigaud) and Jack Villaine (Gerard Tichy). The leader of a gang of violent thugs, Villaine is acting on behalf of local cattle barons who are angry that Grande is allowing homesteaders to settle on his land. The fact that Grande's daughter Jade (Marianne Koch) is romantically involved with Villaine, albeit under sufferance, doesn't help matters. Villaine assumes that Brenner and the Frenchman are working for Grande and he orders his gang to dispose of the duo. 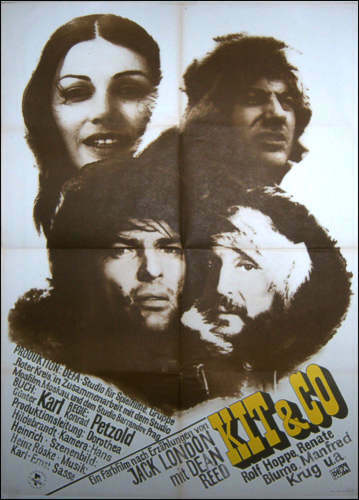 This West German/Spanish co-production is notable because it features the stars associated with the long-running Winnetou series - Lex Barker and Pierre Brice - cast somewhat against type: both men play sharp-shooting fast guns who make a living by entering gunfighter competitions that are effectively duels to the death. That said, both men are fairly likeable characters and they share a reasonably moral outlook on life, which results in them reluctantly siding with Grande when Villaine's bullying thugs start provoking trouble. Said thugs count genre favorites Aldo Sambrell and Antonio Molino Rojo among their number. Marianne Koch's Jade is a world-weary saloon owner and the unhappy state of her love-life is a little reminiscent of that of her Marisol character from A Fistful of Dollars. Also joining Koch, Sambrell and Rojo here is another Dollars star, Wolfgang Lukschy, who plays Jade's ever-observant barman. Euro cult favorites Victor Israel and Luis Barboo also provide interesting turns. This is a fairly intimate show that follows the detailed interactions of just a handful of characters for much of its running time. It's also a fairly claustrophobic show too: key scenes unfold within the confines of hotel rooms or with their main players huddled around saloon tables or stood at saloon bars. An abundance of nighttime scenes, an extended game of poker and Villaine's gangsterish traits imbue the show with a film noirish vibe. As far as the action goes, a number of decently executed confrontations, fistfights and shootouts successfully serve to offset one or two overly-talky sequences. The film's finale - in which Brenner and the Frenchman unwittingly face each other in Glory City's gunfighter contest - is really interesting and well-staged. Reminiscent of Sam Peckinpah's observations on the dark side of human nature, the bloodlust displayed by the town's residents - young, old, male and female alike - is very disturbing. Angel Arteaga's spirited soundtrack score (which was arranged and conducted by Bruno Nicolai) is fairly average by genre standards but it gets the job done. Picture quality fluctuates a little here. At its best it's just short of very good but the quality dips a bit during a couple of scenes. The presentation's sound quality is good but it remains a tad muffled in spots. Extras: an image gallery and a trailer. The Road to Fort Alamo Directed by Mario Bava. 1964. 79 min. Widescreen (2.35:1 anamorphic). Bud (Ken Clark) comes across a squad of massacred Union soldiers and discovers a cheque from the Wagon City Bank that promises to pay the army $150,000. He soon links up with Slim (Alberto Cevenini) who introduces him to Carson (Michel Lemoine) and his gang of cattle-rustlers. Posing as Union soldiers, the gang succeeds in cashing the cheque but a subsequent attack by Osage Indians results in the villains losing their civilian clothes. Carson takes off with the cash while a Union army convoy, that is escorting a party of officers’ wives to Fort Alamo, rescues Bud and Slim. The duo succeeds in passing themselves off as genuine soldiers but things get complicated when the convoy subsequently rescues Carson and suffers further attacks by the Osage Indians. Horror maestro Mario Bava's first Western possibly has more in common with John Ford’s work than Sergio Leone’s but it remains an interesting effort. 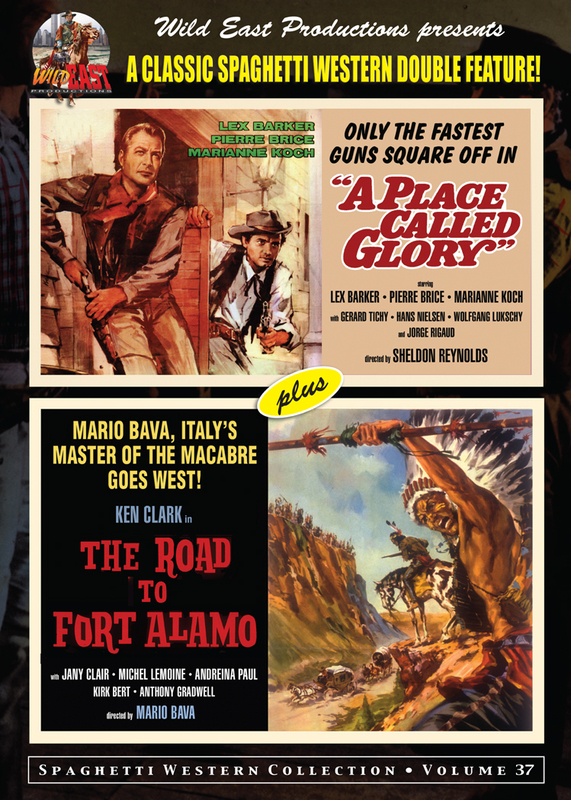 Filmed at roughly the same time as Leone's A Fistful of Dollars, The Road to Fort Alamo is one of those early Italian Westerns that were specifically designed to fool Italian audiences into thinking that they were paying to watch an American production. As such, the film draws upon the tried and tested but somewhat tired "warring Indians versus the US army" generic template: a template that was subsequently rarely used in later Spaghetti Westerns. However, Bava does a great job of making the overly familiar iconography - and the clichéd set pieces - borrowed from similarly themed US Westerns seem fresh and exciting. Former Peplum star Ken Clark does a reasonably good job of reinventing himself as a brawny gunman but Euro cult favorite Michel Lemoine steals the show with a suitably deranged performance. The Road to Fort Alamo may be a low budget feature but Bava and cinematographer Ubaldo Terzano's sure handed visuals make this a colorful and relatively well-constructed show. There are a multitude of good-looking, stylish and expertly composed shots present here that make good use of Bava's trademark color gels and lighting effects. Bava fans will love the highly stylized studio sets that the director constructed and employed for the show's night time exterior sequences. And while the film is a B movie through and through it does possess bags of (sometimes quite naive) charm. The show successfully serves up a string of (way too obvious and slightly hokey but still remarkably fun and intriguing) narrative hooks that ensure that the viewer is held in a near-perpetual state of suspense. Piero Umiliani's lively soundtrack score is a tad overdramatic at times and parts of it appear to possess a slightly incongruous Jazz influence. However, the rousing cues that the composer produced for the show's action-packed finale work a treat. Picture quality here is generally very good, as is the presentation's sound quality. At the end of the 19th Century: Kit Bellew works as a journalist for the magazine "Billow" in San Francisco. When he hears of the discovery of gold in Alaska, he tries to persuade his boss to let him go as a reporter. When he refuses the offer, Kit quits the same day and is on his way to the "Gold Country". Once there, he makes the acquaintance of the attractive Joy, daughter of Louis Gastell a successful prospector. A short time later, Kit travels to the interior of the country and is confronted with the harsh weather of Alaska. When he breaks down in the pouring rain, he is helped by prospector Shorty, together they continue on their route. 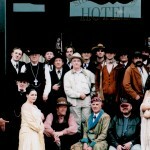 In Dawson City, Kit begins a fight out of jealousy with the experienced prospector Wild Water Bill. He lives in a small hut with Shorty and can afford only modest meals. This changes suddenly when Kit discovers a system in roulette and so wins thousands of dollars. A new house, good food and excellent equipment are the result. After winning a huge sum of money, he sells his system to the owner Kit Slavovitz. On their way to a stream, reported to be a new gold discovery, they are kept away by a trick of Joy and her father and come up empty. After the two are almost falsely hanged, they set out to search for the mother lode and discover it, which helps them gain fame as gold prospectors. Meanwhile, Shorty and Kit have reconciled with Louis Gastell and hear about a dog race with a million dollar purse. They buy the best dog sled; Kit and Wild Water Bill win the race. The money is divided and Joy and Kit are married. Mexican actor Pedro Armendáriz, Jr. dies in New York City today. Pedro Armendáriz Jr. was born in Mexico City on April 6, 1940, the son of actors Carmelita (née Pardo) [1917-1963] and Pedro Armendáriz [1912-1963]. He was married to actress Ofelia Medina [1950- ]. Armendáriz appeared in over 100 movies. Among them were "The Magnificent Seven Ride" (1972), "El Crimen del Padre Amaro" (2002), "Matando Cabos" (2004) and "La ley de Herodes" (1999), and played Don Pedro in "The Mask of Zorro" (1998) and "The Legend of Zorro" (2005). He also had small roles in "Earthquake" (1974), and played the priest killed by Michael Biehn's character Johnny Ringo in "Tombstone" (1993). Both Armendáriz and his father appeared in James Bond movies. The elder Armendáriz appeared in "From Russia with Love" in 1963, while Pedro Jr. appeared in 1989's "Licence to Kill". Also both actors portrayed Pancho Villa, the senior Armendáriz in several movies and Pedro Armendáriz Jr. in "Old Gringo" (1989) opposite Gregory Peck and Jimmy Smits. Interestingly, Pedro Armendáriz Jr also portrayed Pancho Villa's enemy Luis Terrazas in the film "And Starring Pancho Villa as Himself" (2003) as opposite Antonio Banderas. Pedro died today December 26, 2011 of cancer at age 71 in New York City. 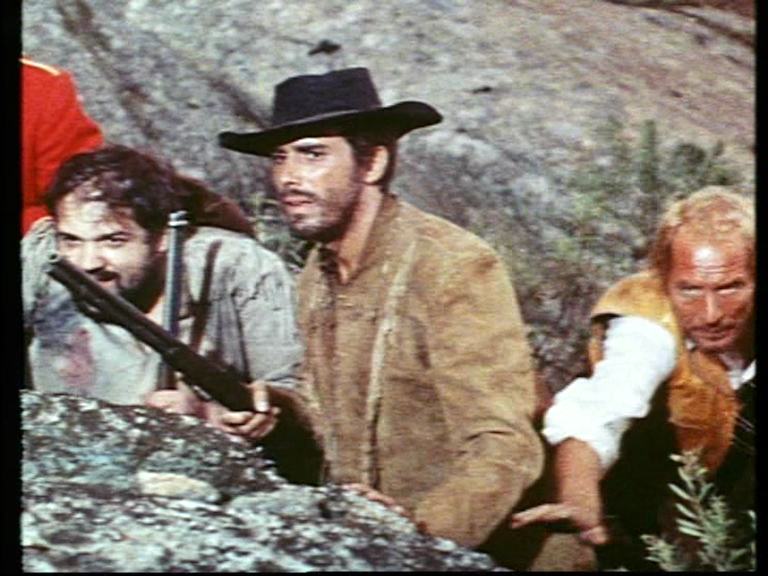 Armendáriz appeared in two Euro-westerns; "Guns for San Sebastian" (1969) as Father Lucas and "Bandits" (1990) as Cura. Giulio Battiferri was born on July 15, 1893 in Rome, Italy. He was the brother of actress Fernanda Battiferri [1896-19??]. After attending technical school, he made his stage debut in 1913, his first role being in ” Compagnia Romanesca” directed by Count Gastone Monaldi Romanesca, who later became his brother-in-law, having married his younger sister Fernanda. With this training and subsequent roles, he starred in numerous works including “Er pupo de Trastevere”, “La festa del bacio” and “Nino er boja”, treading the boards of the major Italian opera houses, and also doing some tours in Brazil, in other such countries in South America along with France, England and Spain. With him on stage in almost every play was his wife Pina Piovani. Giulio made his film debut between 1919 and 1920, appearing in films directed by and starring his sister Fernanda, but his real film career began in 1939 which then saw him play in a long career of screenplays and characters, often in roles so tiny as to be barely noticed, but this activity was ongoing with a surprising large quantity of films. For a period Giulio left his acting career in January 1932, and went to work for a magazine for several years. Battiferri appeared in three Euro-westerns before his death on January 22, 1973 in Rome. BATTIFERRI, Giulio [7/15/1893, Rome, Lazio, Italy - 1/22/1973, Rome, Lazio, Italy] - stage actor, brother of actress Fernanda Battiferri [1896-19?? ], uncle of actress Gisella Monaldi [1913-1984], married to actress Pina Piovani [1897-1955] (19??-1955). Anita Ekberg destitute after home fire.